Today marks the release of my brand new eBook. I’ve had a lot of requests to package my “7 Keys to High-Performance Health” talk into a portable format. This is the same system I used to beat acid reflux disease, lose 80 pounds, triple my energy, and kick my meds to the curb. Time-tested system I use every day. Time effective read: finish the book in 2 hours or less. Your order includes both popular eBook formats: MOBI and EPUB. Read your new book on Kindle (MOBI), iBooks (EPUB) or any other reader. Delivered in one ZIP file. Easily unzips and loads on Mac, Windows, or your favorite tablet. Clickable table of contents for easy navigation. FREE updates for life! FREE upgrades for all editions of the same book. P.S. Why wait for winter flu and cold season? Boost your immune system now! 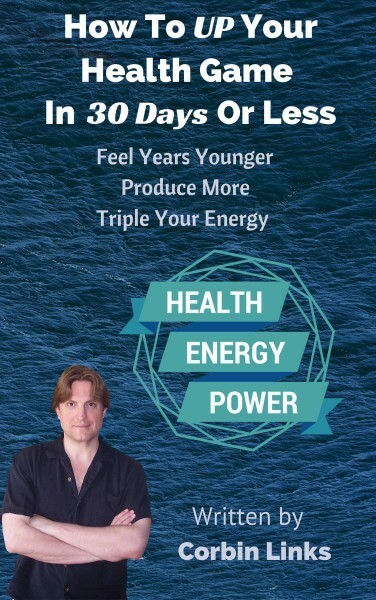 You’re a click away from higher energy, better health, higher productivity, and “youthful vigor”.